Yesterday my family and I went to a zoo called Out of Africa in Camp Verde. 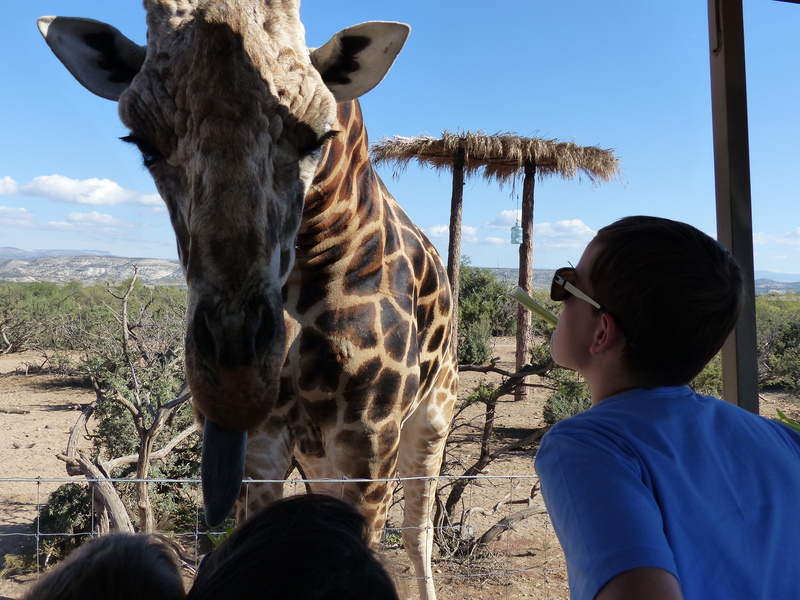 It is a privately funded zoo, with a tour bus that takes you inside a massive pen with lots of different animals (no meat eatersL).There was a sweet giraffe who ate the celery out of my mouth. It was really cool. Mom missed the shot, but he took this right out of my mouth! 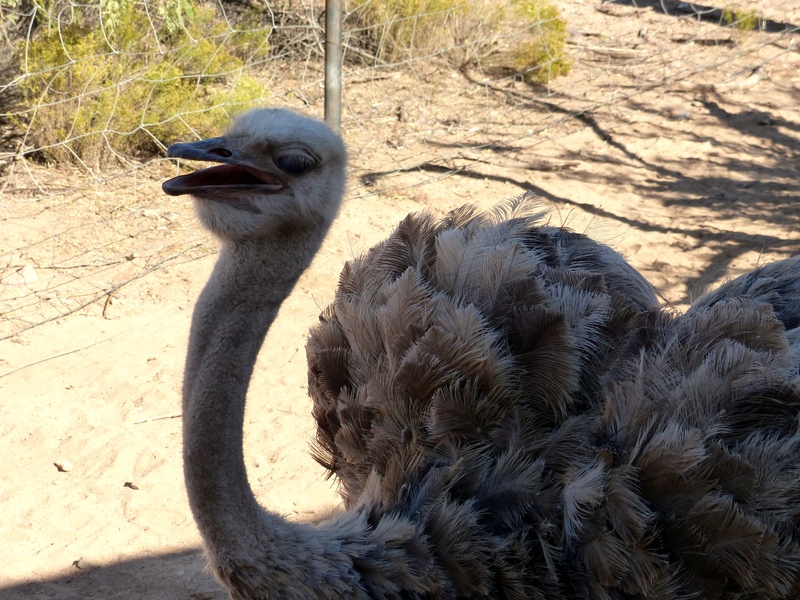 The ostrich named Chili Pepper tried to raid the cookie bucket. Then we went to the lemur cage that also had a big rabbit in it. The lemurs were scared of the big 16 pound bunny, so they decided to gang beat him. It was so mean yet so cool. The lemurs went berserk; they jumped on the fence and ran through their ewok homes in the trees. It was super fun. After that we went back to the casino (my Dad couldn’t stand the smell). Your trusty just a Sedona-hater (Camp Verde is okay) Jack. Sodium, Sodium, Sodium, Sodium, Sodium, Sodium, Sodium, Sodium, Sodium, Sodium, Sodium, Sodium, Batman. If you get this, you deserves my Mom’s PhD.